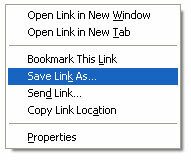 How do I download and view a PDF file? 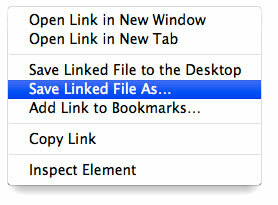 Whenever you see on this site a Download link similar to the (fake) one below, you can proceed as follows. 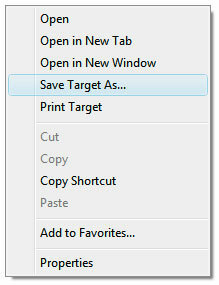 Right-click the link (on the Mac, you can also Control-click) and, in the menu that appears, select "Save Target As..." (in Internet Explorer), or "Save Link As..." (in Firefox), or "Save Linked File As..." (in Safari). 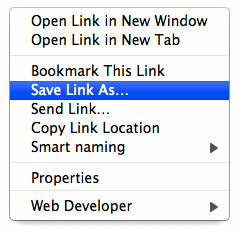 Alternatively, Alt-click (or Option-click on the Mac) on the link. 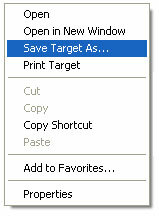 Then choose where you wish to save the file, and click "OK" or "Save".